A quick note to remind readers of a symposium I am helping organize at Princeton. 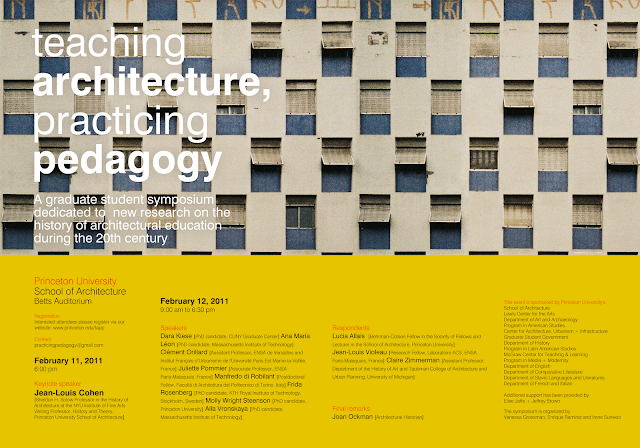 Called "Teaching Architecture, Practicing Pedagogy," this event is dedicated to new research on the history of architectural education in the twentieth century. 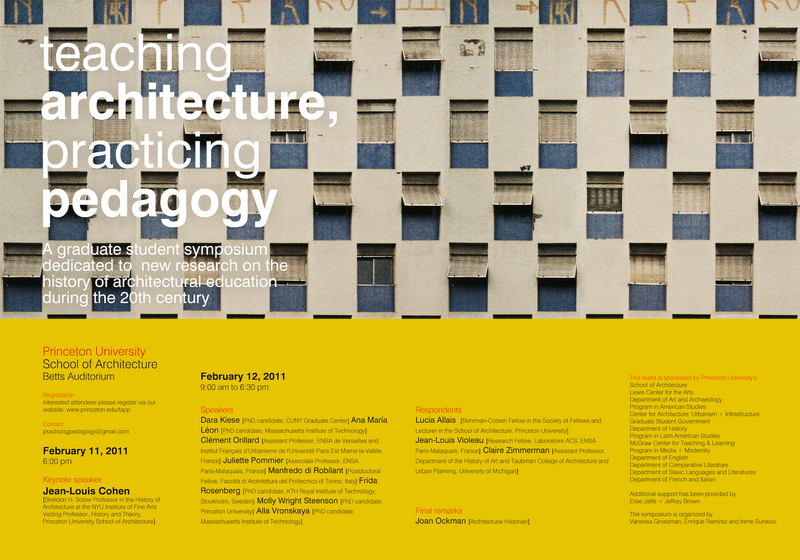 It will take place at the Princeton University School of Architecture on February 11-12, 2011. For more information about the event, please visit the symposium website. Hope to see you there!